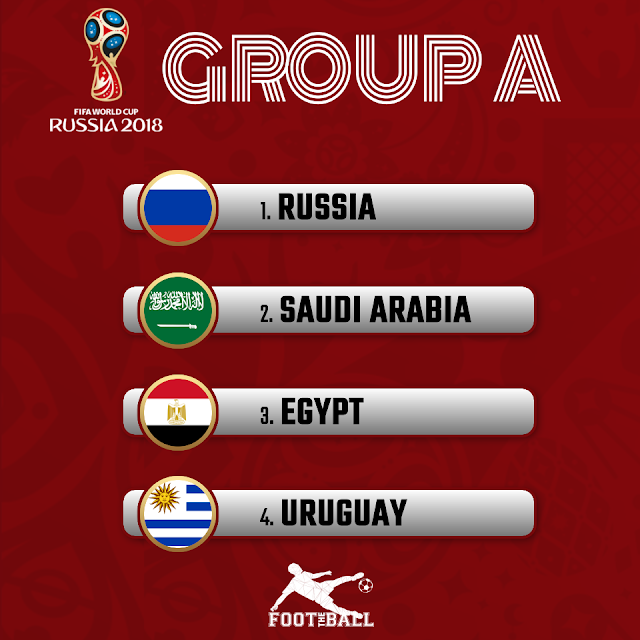 Check out confirmed details about Group A Teams, Schedule, Predictions for the upcoming 2018 FIFA World Cup in Russia. The group is diversely represented by countries of four different continents. Uruguay is the only team to have won the tournament before. Russia was the first team in the tournament to qualify as they were the host nation. Host nation Russia would be playing for the fourth time after the split of USSR in 1991. Russia has not advanced further group stage till now. Russia is the worst team in the tournament according to the FIFA world ranking. They are on position number 64. Saudi Arabia will play after a gap of 12 years in the World Cup. Their best performance was when they managed to advance to group of 16 in 1994. Just a spot above Russia in FIFA rankings, Saudi Arabia is at 63. After a massive gap of 28 years, Egypt qualified for the FIFA world cup. Egypt has so far made two appearances and failed to win a match on both occasions. Two times champion Uruguay will give their best to win once again this time. In 2014, they were knocked out in the round of 16. It would be their 13th appearance in the world cup. Uruguay is the favourite to advance to the round of 16 by clinching the first spot. They finished second in South American (CONEMBOL) qualifiers above the mighty Argentina and continental champions Chile. It would be a tough fight between 2010 African Champions Egypt and the host nation Russia as they would give their everything to qualify for the next round. But Salah and his team could face a major problem as Russia holds the edge courtesy to home conditions. Only Asian team in the group Saudi Arabia is expected to finish last, but rest of the teams should not take them lightly as they defeated Japan during qualifiers.